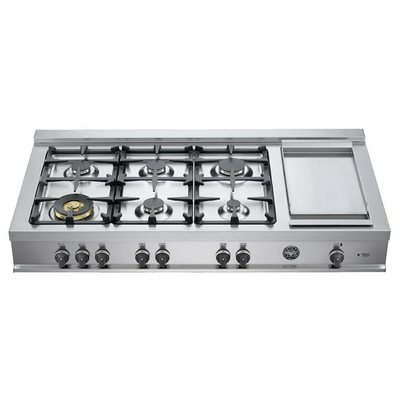 The Bertazzoni 48-inch Master rangetop brings Italian design, high-performance and energy efficiency to commercial-style cooking. 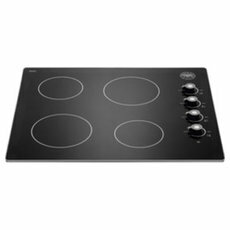 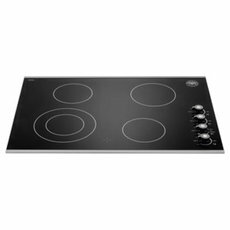 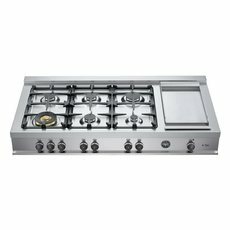 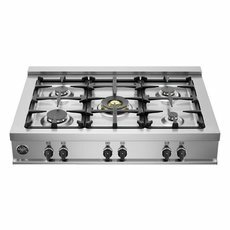 It features the signature one-piece, seamless, high-efficiency worktop design, which is common to all Bertazzoni gas surface-cooking appliances. 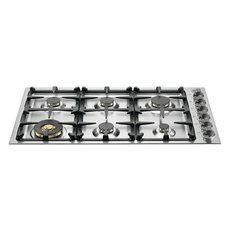 It includes six gas burners in cast brass. 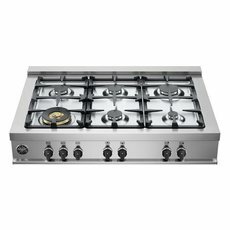 All burners are in cast brass for enhanced performance, with the dual control power burner delivering best-in-class heat-up times and maximum flexibility thanks to its extremely wide BTU range, dual controls and separate rings of flame. 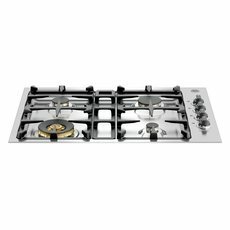 Matching hood and backsplash are available.